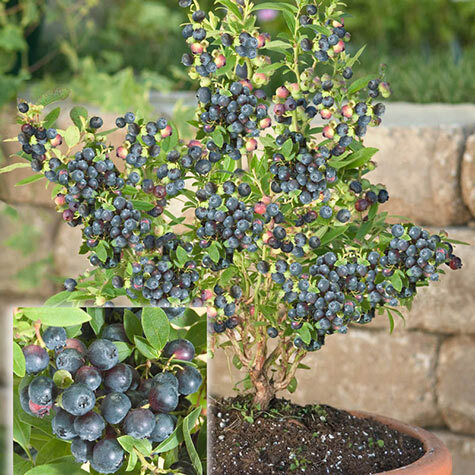 A great blueberry for containers and small spaces—and you can plant it now! Dwarf Northsky Blueberry is available in a gallon pot and shipping now. This blueberry plant survives winter temperatures of -45°F, yet performs well in warmer areas as well. Attractive compact mounding habit, Northsky grows to 1 1/2 ft. tall and about 2 ft. wide. Perfect for containers or incorporating into the landscape, it offers three seasons of color. Snow-white blooms and dense, glossy green foliage appear in the spring; deep sky-blue berries ripen in July; and leaves turn brilliant red in autumn. Berries are small and have that rich "wild" blueberry flavor. Yields range from one to two lbs. per bush. Potted. Zones 3-7. Spacing: 3 1/2 - 4 feet in rows 12 feet apart. Yield: Approximately 1 to 2 pounds at maturity. 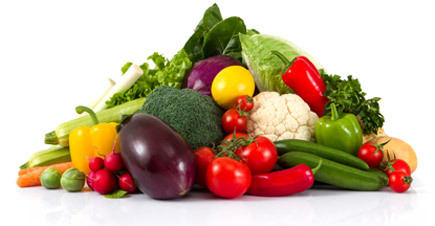 Foliage: Large, waxy, deep green foliage. Turns dark red in the Fall. Fruit: Long loose clusters of small-medium, juicy, light-blue berries. Zone: 3 - 7 (-40° F.). Comments: Compact plants, ideal for patio growing. Higher antioxidant level than Tophat. It is the hardiest blueberry available.